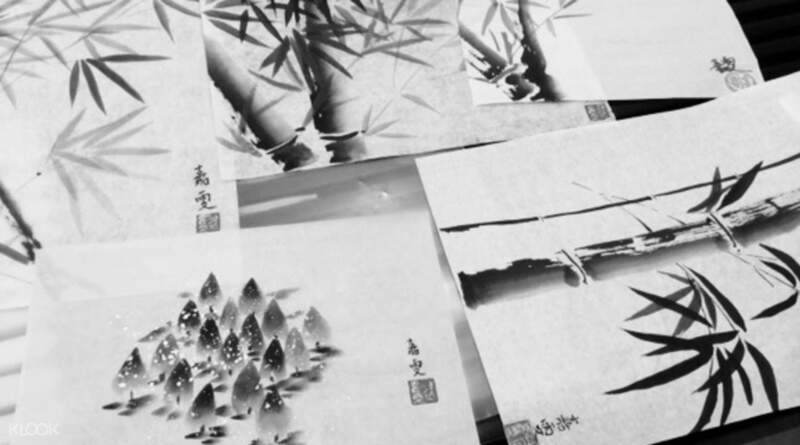 Create your very own bamboo or flower painting on rice paper - and take it home afterward! Try some other workshops like Bottle Painting and the Teapot Painting class! i waited while my husband was taking the class. eventhough it was a 2 hour class? i never got bored! watching them, the teacher and her students, it was so relaxing. my husband enjoyed the class so much that he will continue practicing. 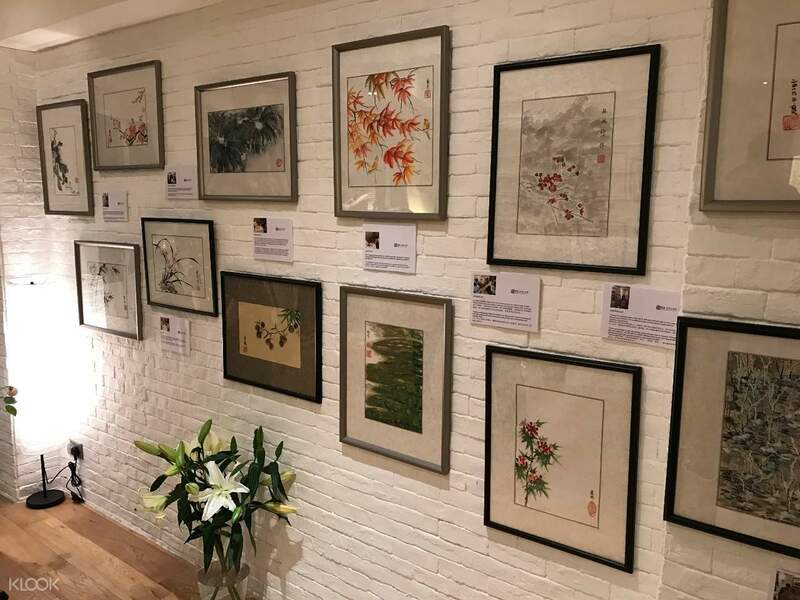 Take your appreciation of Chinese painting to a deeper lever as you learn the skills and techniques of traditional ink. You'll broaden the realms of your creativity and gain a deeper insight into Chinese culture under the tutelage of a talented artist. 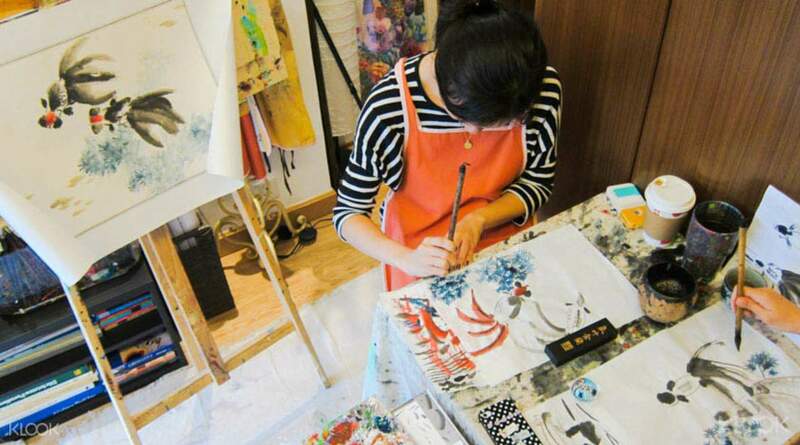 You'll be guided through experimenting with Chinese paintbrushes, rice paper and collage, and introduced to typical Chinese painting themes such as bamboo, flowers and fish. It's a casual and cozy environment, enhanced with complimentary free-flow tea, so you'll feel comfortable letting your creativity run loose! You will receive confirmation of your booking's availability within 1 business day. We will send you the voucher upon confirmation. Please choose your preferred booking time at checkout. In case of unavailable slots, we will help arrange alternative schedules for your selection. Otherwise, you may cancel your booking and receive a full refund. The overall experience of painting using traditional Chinese brushes and ink will give you a new level of appreciation of Chinese paintings. What seem to be such simple paintings of bamboos and flowers, are actually products of years of discipline and practice from the painters. The instructor gave us a 20min background on Chinese paintings, and my girlfriend and I went straight into doing our hands on work, and we wrapped the session up by making our own bamboo painting using black ink. The 2 hours went by so fast without us even realizing it. The overall experience of painting using traditional Chinese brushes and ink will give you a new level of appreciation of Chinese paintings. What seem to be such simple paintings of bamboos and flowers, are actually products of years of discipline and practice from the painters. The instructor gave us a 20min background on Chinese paintings, and my girlfriend and I went straight into doing our hands on work, and we wrapped the session up by making our own bamboo painting using black ink. The 2 hours went by so fast without us even realizing it. 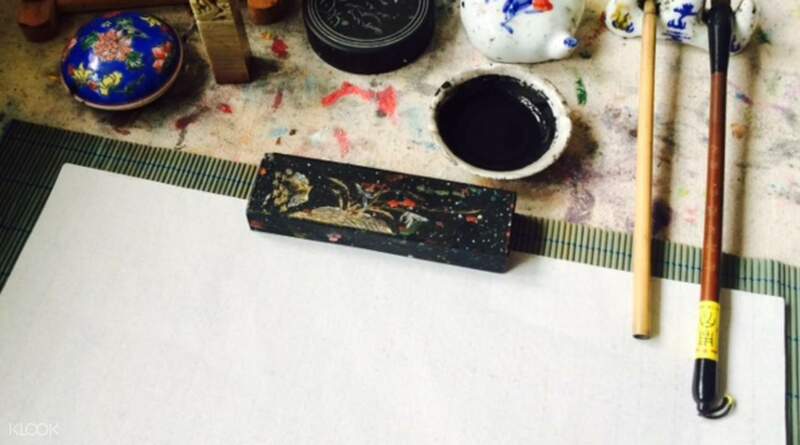 A great introductory course to Chinese painting. Carole was very patient since this form of art needs lots of concentration and discipline to fully master the skill. The class started out with a brief background on Chinese vs. Western painting. We then moved on to practising the different strokes of our subject, up until we ended up with our final piece. Overall, a very enjoyable class and a fun way to appreciate Chinese art. 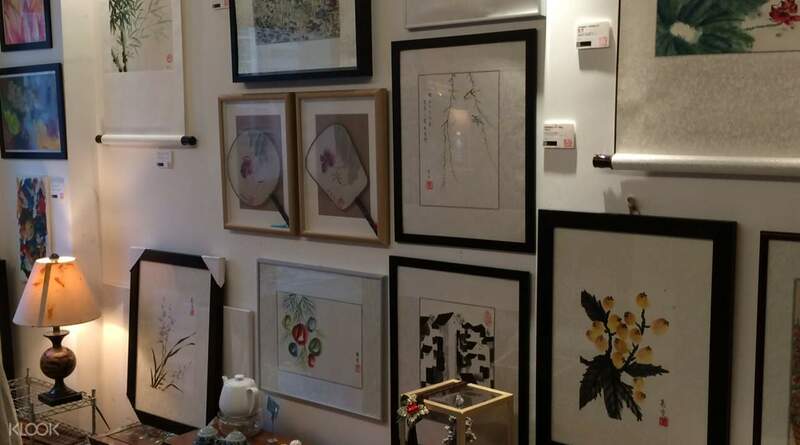 A great introductory course to Chinese painting. Carole was very patient since this form of art needs lots of concentration and discipline to fully master the skill. The class started out with a brief background on Chinese vs. Western painting. We then moved on to practising the different strokes of our subject, up until we ended up with our final piece. Overall, a very enjoyable class and a fun way to appreciate Chinese art. The lady (i forgot to get her name) was very thorough in explaining the differences between Chinese art and western art. Beginners ed on different paint brushes, ink and paper was also very insightful. Was able to make my “work of art” after the 2-hr session. Highly recommended! The lady (i forgot to get her name) was very thorough in explaining the differences between Chinese art and western art. Beginners ed on different paint brushes, ink and paper was also very insightful. Was able to make my “work of art” after the 2-hr session. Highly recommended! Was such an amazing experience. Learned so much about Chinese art and the end drawing was really amazing. Was such an amazing experience. Learned so much about Chinese art and the end drawing was really amazing. i waited while my husband was taking the class. eventhough it was a 2 hour class? i never got bored! watching them, the teacher and her students, it was so relaxing. my husband enjoyed the class so much that he will continue practicing. i waited while my husband was taking the class. eventhough it was a 2 hour class? i never got bored! watching them, the teacher and her students, it was so relaxing. my husband enjoyed the class so much that he will continue practicing. The whole experiences was very pleasant and informative of the history of Chinese painting. Carole is patient and had a very calm energy throughout the lesson. 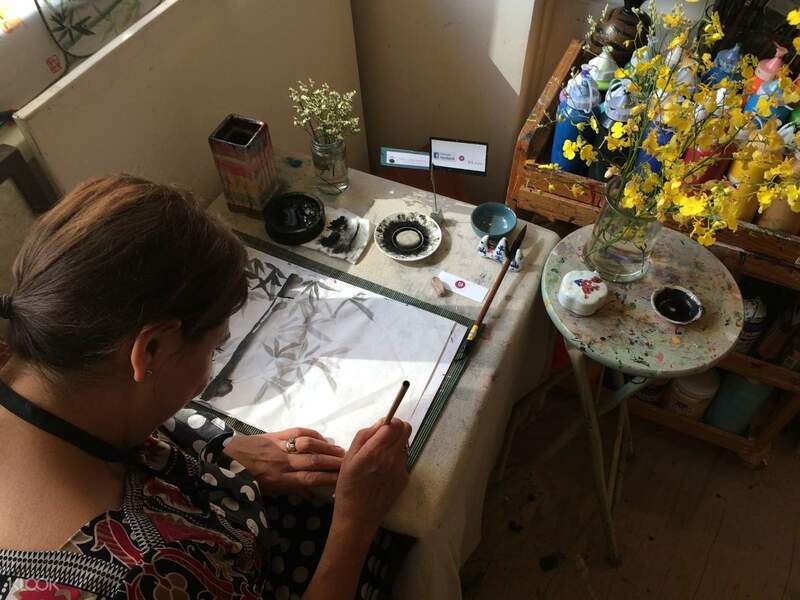 I could not recommend this class more to those who want an insight to the beauty behind the art of Chinese painting! The whole experiences was very pleasant and informative of the history of Chinese painting. Carole is patient and had a very calm energy throughout the lesson. I could not recommend this class more to those who want an insight to the beauty behind the art of Chinese painting! Loved it !! I attended the ink painting classes. The personal attention given to each student and explaining the different art forms along with the basic techniques and practising them went a long way to learn and understand the art form. Loved it !! I attended the ink painting classes. The personal attention given to each student and explaining the different art forms along with the basic techniques and practising them went a long way to learn and understand the art form. Very enjoyable experience, I learned some basic principles of Chinese ink painting during the first class-just right to develop interest and now I want to continue painting and seem to know how to do it and how to practice. Thank you Carol! Very enjoyable experience, I learned some basic principles of Chinese ink painting during the first class-just right to develop interest and now I want to continue painting and seem to know how to do it and how to practice. Thank you Carol! My daughter had a fever the night before and we were catching a flight home to Singapore that afternoon so I decided to skip the painting class, much to my own disappointment so I can't really comment on the class. I received email communications from Carole right after booking on Klook and also friendly email reminders with directions on how to locate their atelier before the class so I had a very good feeling about it. I will surely purchase another session the next time I visit Hong Kong! My daughter had a fever the night before and we were catching a flight home to Singapore that afternoon so I decided to skip the painting class, much to my own disappointment so I can't really comment on the class. I received email communications from Carole right after booking on Klook and also friendly email reminders with directions on how to locate their atelier before the class so I had a very good feeling about it. I will surely purchase another session the next time I visit Hong Kong!